DONALD BLAKE is Professor of Political Science at UBC and former Head of the Department. He has written extensively on elections, political parties, and public opinion in BC and Canada. NEIL GUPPY is Professor of Sociology at UBC and an Associate Dean of Arts. He is currently doing research on the environment (public opinion) and on education (school choice, public confidence). R.C. (BOB) HARRIS is a retired engineer and a close student of the early cartography of BC. RON JOBE is an expert on children’s literature and teaches in the Department of Language Education at UBC. 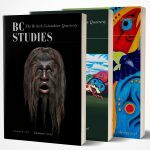 BRUCE MILLER is an Associate Professor of Anthropology at UBC and Anglophone editor of Culture. He has research interests in Native North America, especially the Coast Salish, political and legal anthropology, and ethnohistory. PETER TROWER was born in England and emigrated to Canada in 1940.He was a logger for twenty-two years, and is the author often books of poetry, a novel, Grogans Cafe, and a local history, Rough and Ready Times. His second novel, Dead Mans Ticket, has just been published and two new books of poetry, Upwind from Yesterday and Hitting the Bricks, are imminent. PETER URMETZER is a PhD student in the Department of Anthropology and Sociology at UBC. He has research interests in social policy, the welfare state, and the environment. BRUCE WILLEMS-BRAUN is a SSHRC Postdoctoral Fellow in Geography at the University of California, Berkeley.